The establishment of the National Research Foundation “Eleftherios K. Venizelos” was the result of years of efforts of the Society of Chania and Crete in order to create in the city from which came the greatest Greek politician of the 20th century, a body of research and study of his work and his era. The National Research Foundation “Eleftherios K. Venizelos” was established in 2000 on the initiative of the Public Benefit Foundation “Agia Sophia” and with the support of the Church of Crete, Chania Prefecture, the Municipality and other bodies. The statute was signed by the 33 founding members. On 21 September 2000 the Greek Parliament ratified the foundation under the law 2841/21-9-2000 and was added to the founding members. 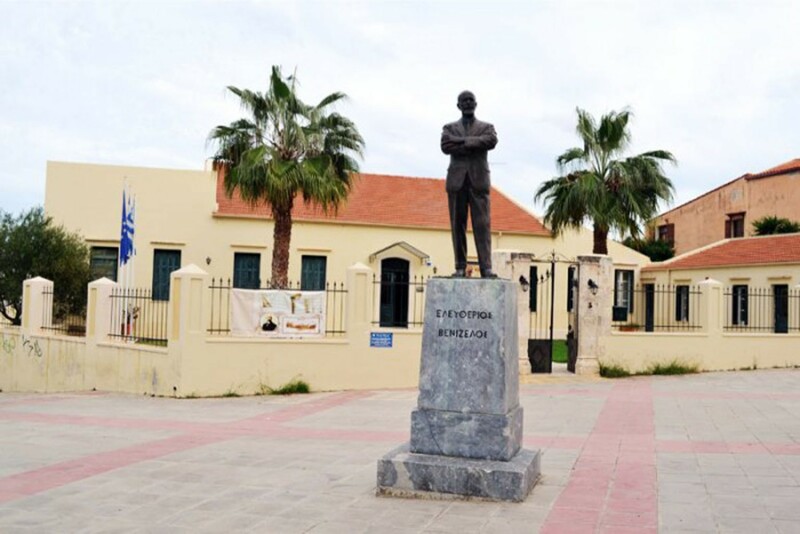 Τhe National Research Foundation “Eleftherios K. Venizelos” is located at the house of Eleftherios Venizelos on the square of Elena Venizelos in Chalepa of Chania. It is the ancestral home of Eleftherios whose construction was completed in 1880. It acquired its present form in 1927 when Eleftherios Venizelos made ​​the radical refurbishments. In March 2002 the Venizelos’ residence became property of the Greek government, that ceded it to the National Research Foundation “Eleftherios K. Venizelos”. Today Venizelos residence operates as a museum. The administrative and scientific services of the institution from November 2005 are housed in the renovated building of the former house of Vloum, opposite the house of Venizelos.